The sun could not have shone brighter for our first joint De Beauvoir WI and De Beauvoir Gardeners Flower and Produce. Everyone I meet who attended has had nothing but praise for the event and how much it brings the community together. If you missed the prize giving (or if you sadly missed the show altogether) we can happily now give you a link to all the winners HERE and a gallery of pics HERE. Special mention has to go to some of our own lovely ladies who took away some of the top prizes. Justina Kochansky won first prize for her piece of homemade jewellery which was then awarded the Silver Cup for the BEST EXHIBIT in the show. 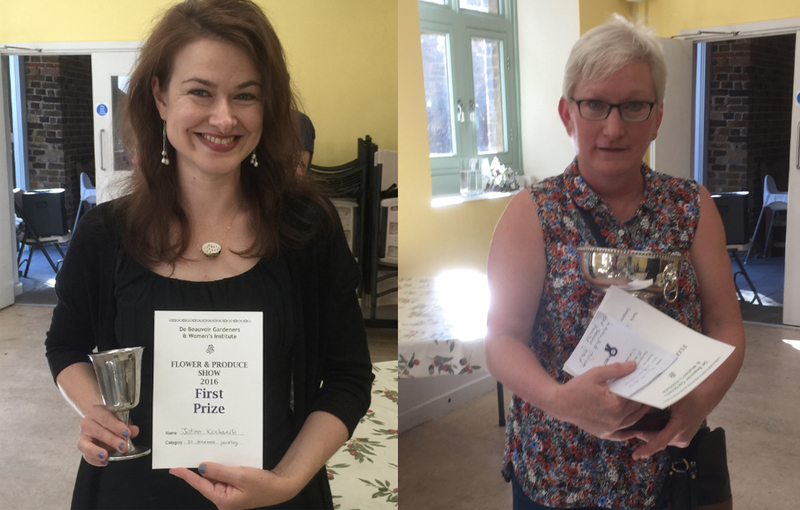 Gillian Rowe won the highly prized Rose Bowl for the highest number of points in the flowers and fruit and vegetable categories. 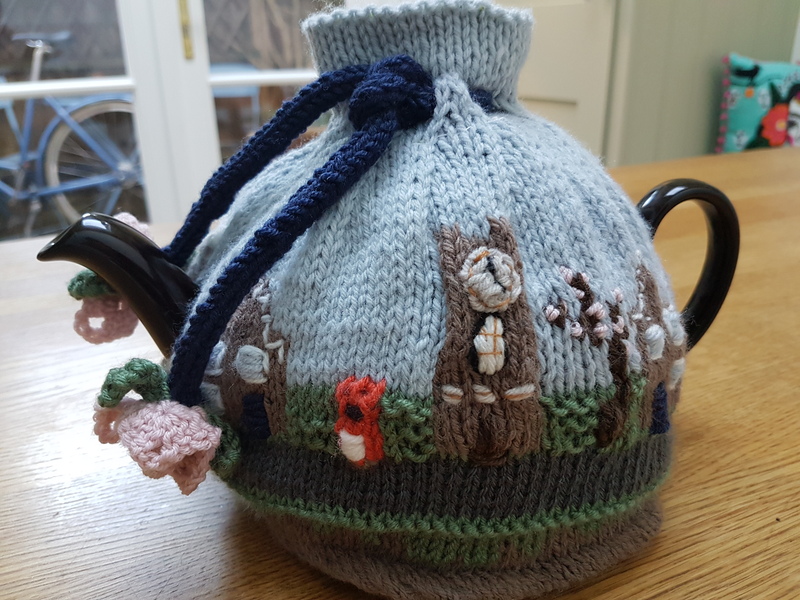 Other members who did very well include our knitting guru Pamela who won both first and second prize in the tea cosy category. The picture below shows why! Sara Lawrence got first prize for her cupcakes. 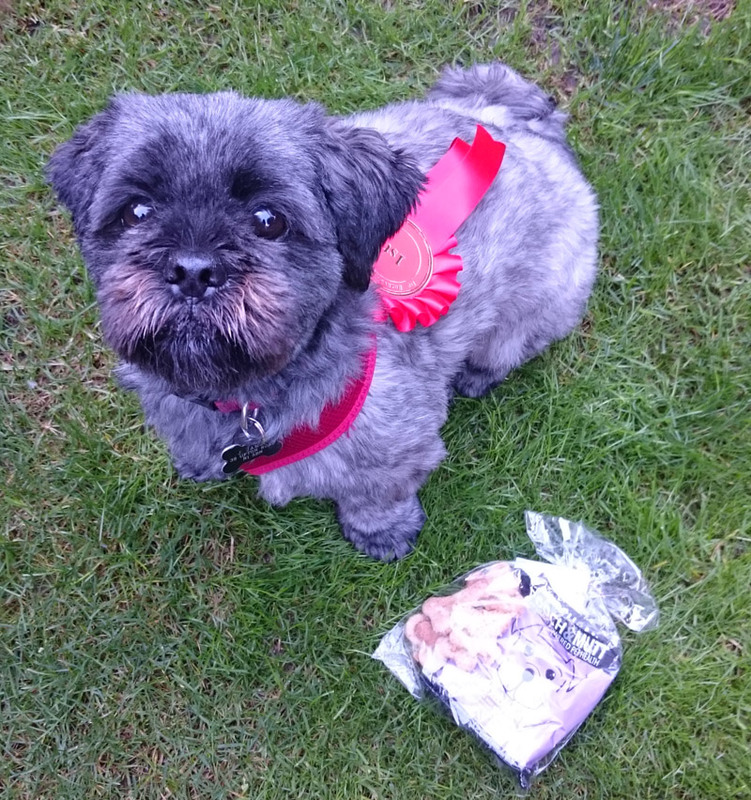 Jacqui James was a popular winner in the Dog Show after her gorgeous dog Humphrey (below) wowed the audience with his best trick.